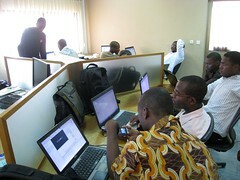 May 14th marked the first official Google Android Developer Challenge Sub-Saharan Africa event in Cameroon. The week prior, a Google delegation arrived in Douala to plan next month’s inaugural G-Cameroon event, discuss the latest happenings at ActivSpaces and rub elbows with local entrepreneurs at the first VC4Africa Cameroon meetup in Douala. 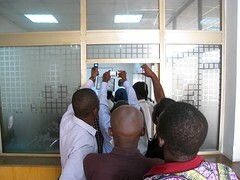 With a short timeframe to organize the event, Rebecca Enonchong and Eric Niat of AppsTech offered to host the launch at their Douala office in central Akwa. 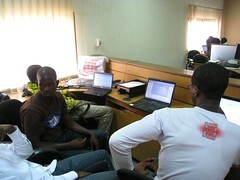 Just three days before the event, the local tech community generated some buzz online and hoped for the best. It was thought that up to 15 developers might show up for the launch. 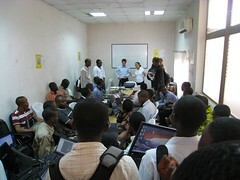 More than 50 techies from around Douala, Buea and Yaoundé arrived with laptops and handsets at the ready. View all photos in set. Judges will consider each entry under the following equally-weighted judging criteria: Originality of Concept, Effective Use of the Android Platform, Polish and Appeal, and Indispensability. 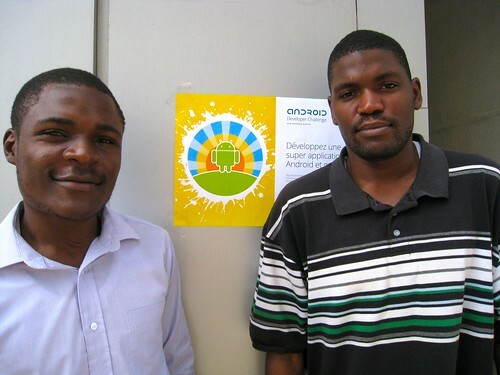 All teams that make it to the final round in each category in each region (West/Central, East and Southern Africa) will be awarded Android phones. The 1st prize in each category across all regions will receive $25,000 USD and the chance to attend a Google developer event. Teams can be no more than 3 people. All applications in each region and category will be evaluated and ranked by a team of Google-selected judges. At the end of the judging period, on September 12th, finalists will be announced. With this kind of cash on the table, competition within regions and categories is bound to heat up (Cameroon’s finest are up against heavyweight techies in Nigeria, Ghana and Senegal). Regardless of which teams take home Android phones and cash, it’s great to see the local developer community in Cameroon galvanize around events such as these. Who will Represent Cameroon at Demo Africa 2018?